This entry was posted in Interesting and tagged animal, animals, cat, cat bed, cats, cats bed, cats beds, kitty, luxury bed, luxury cat bed by Kitty Bloger. Bookmark the permalink. It is the most utterly useless thing I’ve ever seen. Like the cat would sleep there. Neatly, like a cup being place on a bedside table. I mean, my cat insists on sleeping on my mother’s head. I can’t even imagine it voluntarily sleeping on that tiny plank. 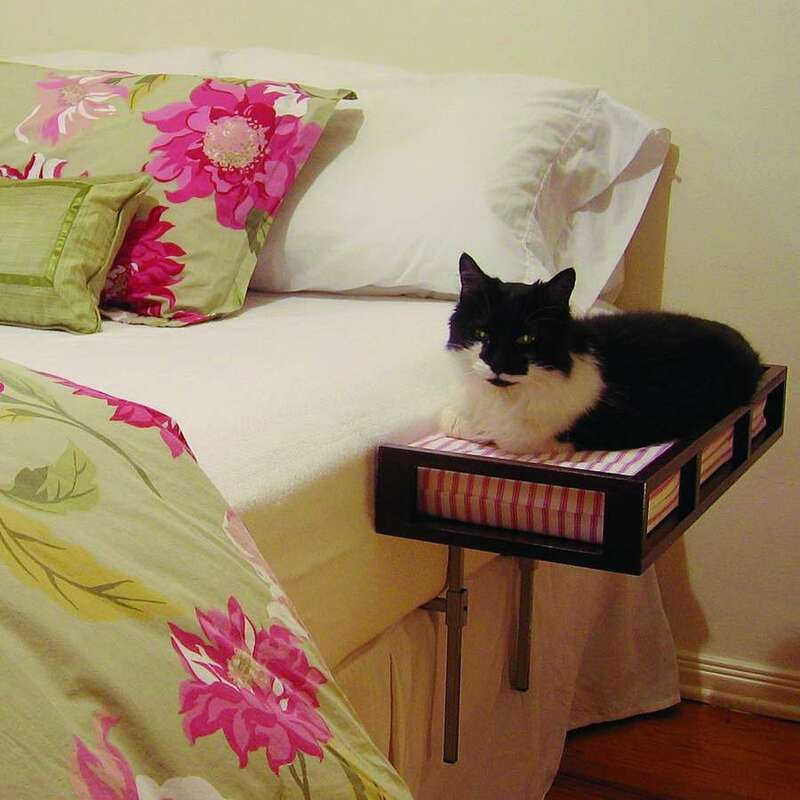 Totally wouldn’t work with my cat.. can’t image any cat liking being told where to sleep actually. but super cute idea. Now isn’t that fancy? I wonder if it would keep the cats off Jen’s head? Man that is something else! Sylvia just prefers to lay on me! LOL! Mine sleeps on me or under the blankets next to me.